DataHelp OST to PST converter software to perform conversion of multiple large OST files into a single PST format. After conversion of OST to PST user can access output PST file into Outlook 2016, 2013, 2010 & lower editions. 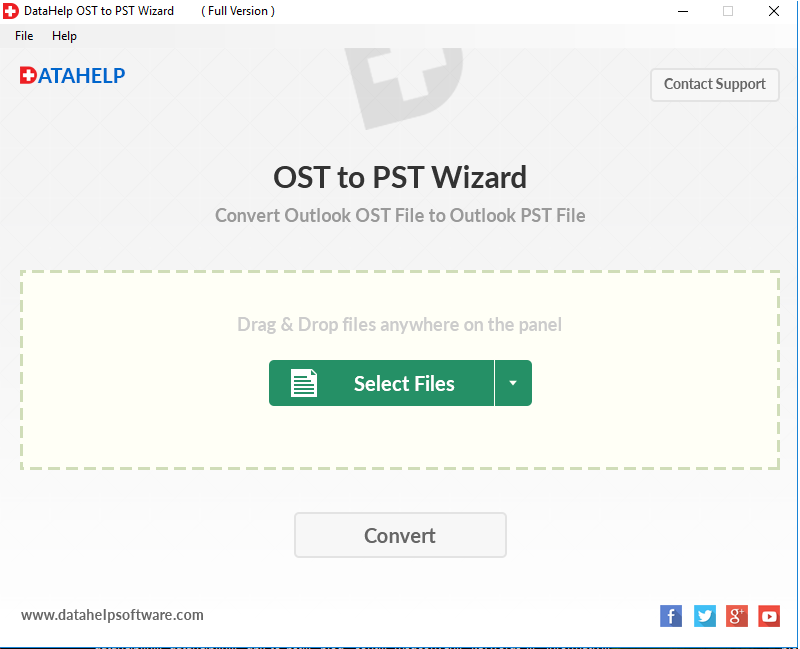 This OST to PST converter tool developed by DataHelp Software to make OST conversion process easy for users. This is an effective tool to perform conversion of multiple OST files to PST format with entire data items. There are multiple features in this tool which will help you to easily perform entire conversion of multiple OST files to PST. With the help of DataHelp OST to PST converter software, you can convert OST file into a single Outlook importable PST file, the software also provides an option to create a separate PST file for each OST file. It maintains data integrity & folder structure after conversion, you will get entire OST data into PST file without any data loss. Download free edition to OST to PST converter tool to check whole working procedure of this tool. To perform OST to PST conversion without any limitation you need to upgrade the software. This tool is Windows compatible you can run DataHelp OST to PST converter on Window 10 & lower editions. Powerful and reliable PST file splitter tool to split large sized Outlook PST file into smaller chunks of PST files. This way you improve Outlook performance and attain ease of data manageability. Split your Outlook large PST files with SysTools Split PST software. Software split large PST file in to multiple PST files such as email folders to split by file sizes ,by date ,by yearly or by folder.